This handbook is designed to help educators find, use, develop and share OER to enhance their effectiveness online and in the classroom. A helpful summary of the the types of OER and the implications of the OER movement from Educause (2010). Provides examples of how institutions, companies, organizations and state governments across North America are working to expand the use, creation and improvement of Open Educational Resources. 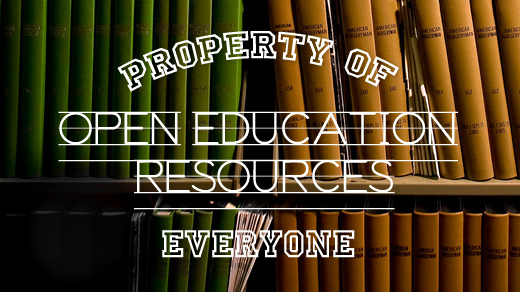 Open Educational Resources (OER) educational materials produced by educators that are licensed to be shared freely and at no cost to others. OER may include question banks, syllabi, games, simulations, tutorials, lesson plans, full textbooks and even full courses. Found on the Orange Grove Repository's YouTube channel. 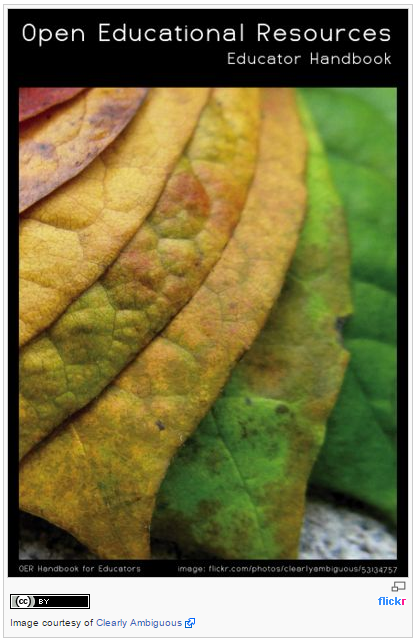 The Orange Grove repository is Florida's digital repository for instructional resources. This video is intended to help you choose compatible resources and choose a valid license for your work. Suppose you are developing an open educational resource (OER), and you want to use some other OER within yours. If you create a derivative work by adapting or combining works offered under Creative Common licenses, you must not only follow the terms of each of the licenses involved, but also choose a license for your work that is compatible with the other licenses.